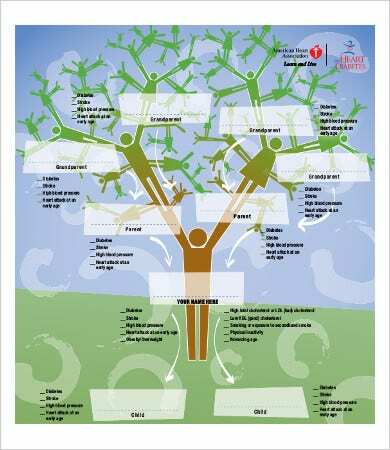 A family tree is a chart featuring the family relationships in a tree-like structure. 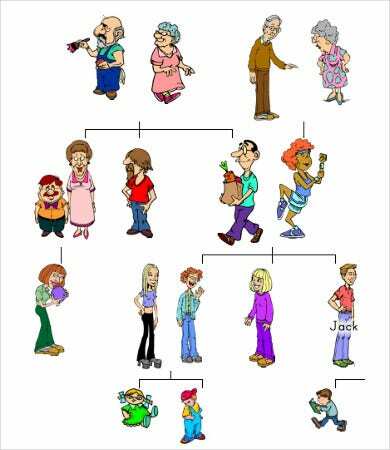 Family trees usually present with the oldest generations at the top going toward the newer generations at the bottom. 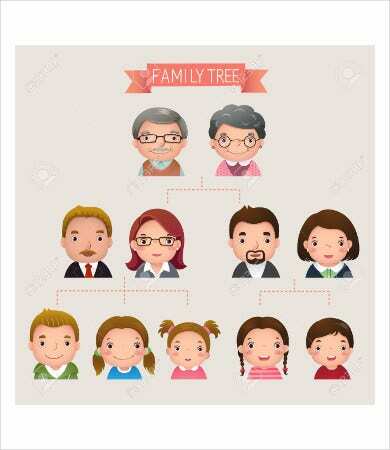 A family tree or an ancestry chart appears the same in a lot of ways, but they are commonly symbolized like a tree with wider space at the top, to be able to fit in the original members of the family and narrower at the bottom. 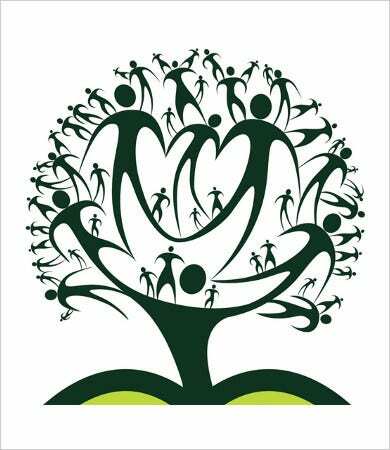 The family tree originated in Western societies as they focused on kinship and descent of some rulers. Often are arguing for the legitimacy of power and wealth, thus the family tree was traced. 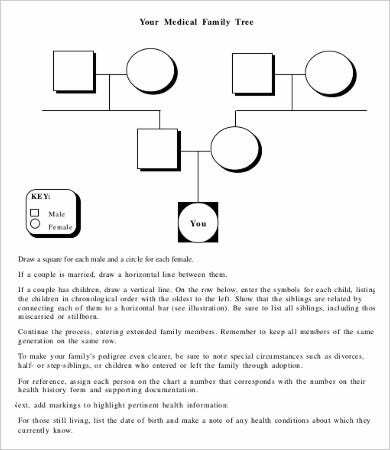 So whether its for your finding an inherited wealth or purely tracing back the people who made your existence possible, we have here some Free Family Tree Template that you can use to start tracing. 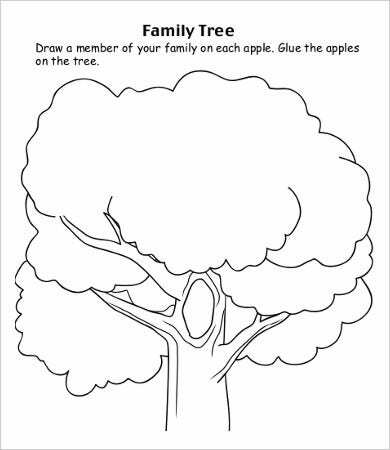 Family trees can have different types of themes. 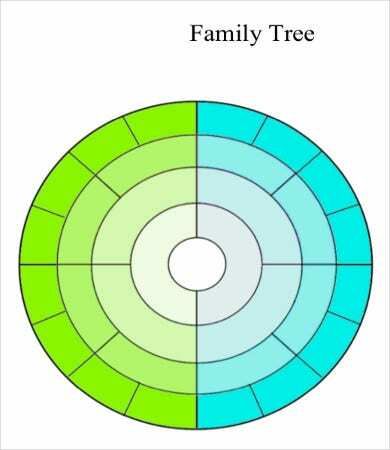 Some do not even present as a tree as some can be in chart forms, such as the ancestor chart, which starts from having the eldest ancestor at the bottom then going upward toward the youngest; the descendants chart, which starts having the ancestors at the top then going down to the bottom; and the sand-glass diagram starts by putting the ancestors in the middle. Trace medical conditions. Tracing your own older generation sickness is a great way for looking out at your own health. By knowing diseases that they had, you can be more cautious as you are more aware on the type of diseases you could be carrying. Trace land ownership. 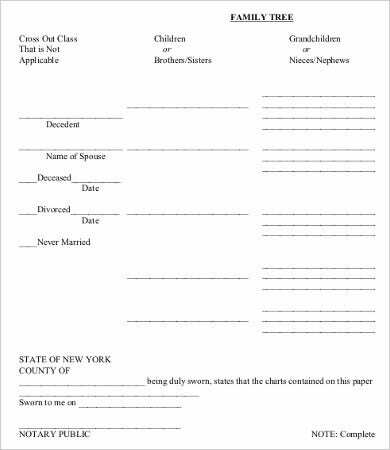 Just like olden times, you may also have some land or money inheritance, and possibly by tracing your family tree, you may learn about it and find legitimate reasons to acquire them. Validate family stories. Every life story has its mysteries that you would like to decipher, and with tracing the backstories of each ancestry you have, you can finally say that sometimes curiosity doesn’t kill the cat. Famous people. You might just find out right then and there that you should start calling the Queen of the United Kingdom grandma. Learning more about yourself. 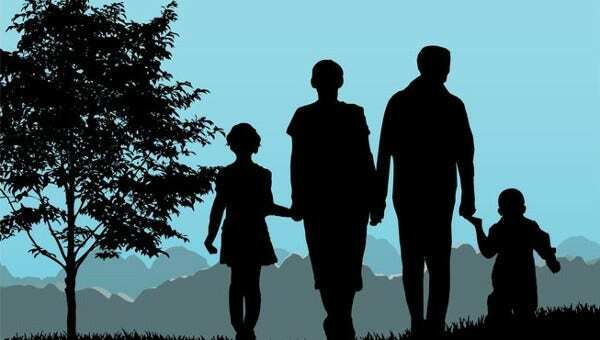 You might be able to finally find out why you have particular likes and hobbies based on your family’s history. 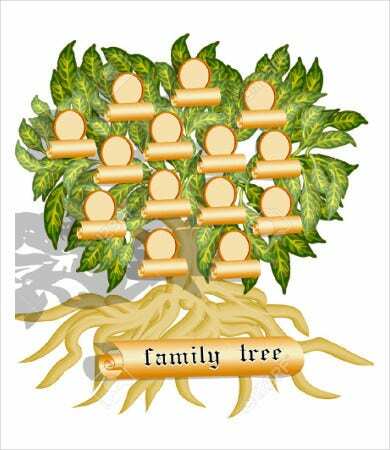 Apart from being able to get all these benefits that you can get by tracing your family tree, one can also feel the thrill and pleasure by looking back at loved ones and somewhat feel a stronger bond with them. So go and try out these free and artistic templates we have offered for you. 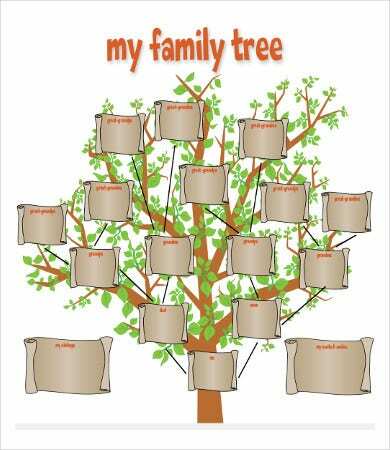 If you belong to a large family, check out these Large Family Tree templates from our website.